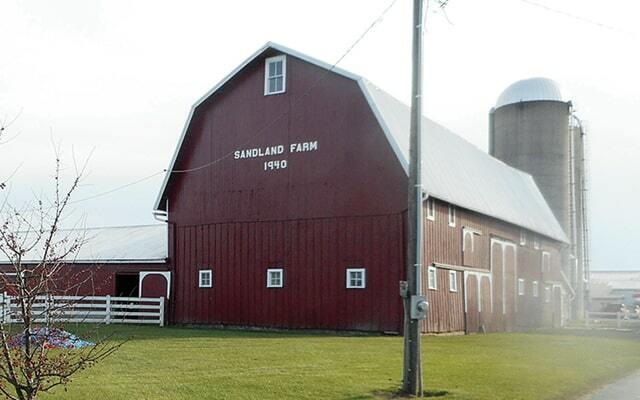 Sandland Farms hosted Breakfast on the Farm on June 13. The “Breakfast on the Farm” event at Sandland Farms went off without a hitch on Saturday, June 13. “The rain held off, making the weather perfect for the day’s events,” stated Toni Schindler, Marketing and Communications Director for Fulton County. The committee estimates that over 3,000 guests enjoyed a free pancake and sausage breakfast. The crowd also toured Sandland Farms, a large dairy farm in Swanton. “Guests were able to visit with the baby calves, tour the milking parlor, take a wagon crop tour and interact with the Brehm family, the owners and operators of the farm,” added Schindler.